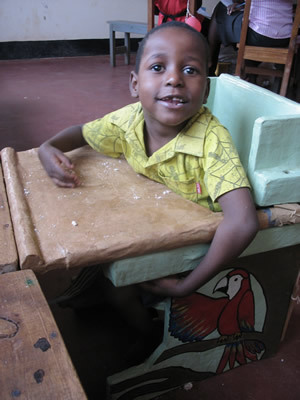 Cerebral Palsy Africa's initial work in Uganda was generously funded by the Nuffield Foundation. 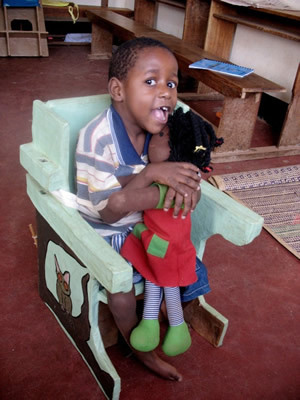 Our 2012 programmes were financed from our own resources. The course was a residential one held in COMBRA for 18 participants - 5 PTs, 6 OTs and 6 CBR workers or PT assistants who came from all over Uganda. The course trainers were Dr. Lesley Dawson and Tina Gericke. They were assisted by two Ugandan physiotherapists with Bobath training, during week one by Simon Amanya and during the second week by Judeson Buwule. There was concern that mixing therapists and CBR workers on the same course could mean that the needs of neither group were met but participants agreed that working together was beneficial and each group learnt from and supported the other during the practical and problem solving sessions. The course entitled The Assessment, Treatment and Management of Children with Cerebral Palsy followed the Elementary Curriculum devised by CPA. This ensures that theoretical knowledge is always closely integrated with practical application and learning new skills. The timetable is arranged so that each day there is a practical session where therapists work with children for 1⅟₂ hours and then discuss this experience in small groups to reflect on what was learnt. Lectures were accompanied by short films and clear handouts. The trainers were able to bring with them an APT chair and standing frame and these were invaluable in demonstrating the use of such equipment. The trainers found participants to be a bright, motivated and thoughtful group. 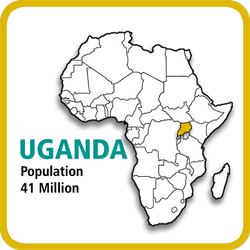 In order to measure the impact of future CPA training courses in Uganda it is necessary to establish a baseline of the present needs for training and capacity building amongst therapists and CBR workers. CPA has been working with 2 physiotherapists, Carola Eyber and Kavi Jagadamma, on the teaching staff of Queen Margaret’s University, Edinburgh to set up a research programme to measure the impact of our teaching. In order to record a baseline, at their suggestion, we engaged a Ugandan research assistant, MeldahTumukunde, to carry out focus group discussions and individual interviews with participants who attended the Stake Holders’ meeting. She conducted, recorded and transcribed 2 focus group discussion groups with CBR workers, 2 focus group discussions with therapists and 5 key informant interviews. These transcriptions are currently with Carola and Kavi in Queen Margarets University. 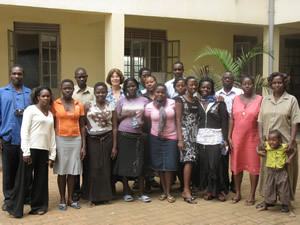 They hope to use them to design a questionnaire which will be sent to as many therapists and CBR workers as possible in Uganda and from that we hope we can obtain a clear picture of the training and capability needs of those providing therapy and support for children with cerebral palsy and their families in Uganda .